November 11th marked the beginning of the annual United Nations Framework Convention on Climate Change (UNFCCC)—this year held in Warsaw. Six major components generally comprise the UNFCCC agenda, but two main pillars get the most attention: mitigation and adaptation. The focus on mitigation means nations—developed and developing (naturally there is some contention between rich and poor nations here)—reducing their greenhouse gas emissions to curb the intensity of climate change. As part of the Cancun Agreements, countries agreed to target a reduction in GHG emissions sufficient to keep global temperature increases within 2°C. An ambitious goal, perhaps overly so, to say the least. Adaptation, on the other hand, speaks to the idea that some degree of climate change is inevitable at this point and that nations need to make plans to deal with long-term impacts like sea level rise on behalf of vulnerable people and areas. Subsumed by the adaptation pillar, the Warsaw Conference has largely centered on the notion of “loss and damage.” In essence, loss and damage related to climate change means losses of life, territory, economic prosperity, climatic stability and predictability, biodiversity etc., and damages related to weather events like Typhoon Haiyan in the Philippines and onset of sea level rise. Some analysts have suggested that loss and damage deserves to be considered a third pillar all its own next to mitigation and adaptation. In pragmatic terms, discussion of loss and damage ultimately becomes a discussion of culpability, liability, responsibility, and compensation. Sticky territory to be sure. Money politics surrounding loss and damage is contentious at best. No one wants to pay more than their fair share, but few agree on how to determine what shares are “fair.” In large part, the divergence is one between the relative importance of cumulative v. annual GHG emissions, and which should receive more emphasis in establishing financial obligations—basically the same question that stopped the US from signing the Kyoto Protocol. In either case the debate revolves around two major players—the United States (the largest cumulative GHG emitter by far) and China (now the largest annual GHG emitter). Obviously other countries (Europe and the other BRIC nations) have their hands in this issue as well, but the US and China are the big two. So loss and damage—clearly a salient issue. Climate change means unprecedented losses and damages. When it comes to nations, determining relative interests are somewhat intuitive. 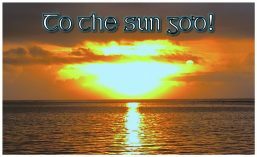 Everyone has, albeit varying, national interests in addressing climate change for domestic reasons, and no one wants to pay more than their fair share—no one likes the idea of other countries freeloading on their mitigation efforts. But, clearly, climate change isn’t just a domestic issue. Climate change entails a slew of international losses and damages involving global commons—the oceans and Antarctica, for example—which don’t have straightforward national borders to delineate interest groups and stakeholders. Indeed, Antarctica has plenty to lose and damage to incur, but lacks the domestic interest element, strictly speaking. The Antarctic meltdown has, for the most part, only been discussed indirectly in terms of sea level rise. But Antarctica has more going on than just melting glaciers, break-away icebergs, and contributions to sea level rise. I’m thinking, for instance, about changes in biodiversity we can expect to see as ecological conditions shift on and around the continent and Southern Ocean. Between rising atmospheric temperatures, ocean acidification, and a warming Southern Ocean, the ~16,000 species known to inhabit Antarctic itself or the waters surrounding it have some notable challenges ahead—but no national interest, strictly speaking, to represent them at the UNFCCC. In particular, let’s consider some charismatic mega-fauna like the endangered Southern Elephant Seal and the variety of endangered whales that live on and near Antarctica and the Southern Ocean. Sealing and whaling (especially whaling) have been—and still are, sadly—problems for these populations, and climate change coupled with habitat loss and changes in ocean temperatures and acidity will only increase their stressors. 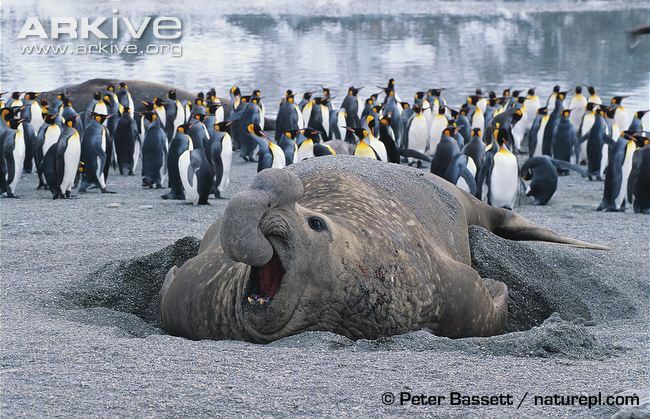 If the West Antarctic Ice Sheet melts, then Southern Elephant Seals lose breeding grounds, and whales and seals alike will need to adapt to changing oceanic conditions. So what’s to be done on their behalf? While Antarctic interests are represented at the UNFCCC by non-governmental organization (NGO) observers, Antarctica doesn’t exactly have its own seat at the table. Luckily, Antarctica will benefit from mitigation efforts regardless of whether it’s afforded explicit attention or not—but ethically speaking, because improvements to Antarctica’s lot are, in a mitigative sense, coincidental or happenstantial, this may be unsatisfying. And few—perhaps with the exception of some researchers and activists—worry about Antarctic adaptation. So, again, what’s to be done to hedge against Antarctic loss and damage? To this point, aside from UNFCCC action, there was a recent attempt by the Commission for the Conservation of Antarctic Marine Living Resources (CCAMLR)—another fantastic acronym for an appropriately instrumentalist name—to create the world’s largest ocean sanctuary around Antarctica, totaling somewhere between 1.6 and 1.9 million square kilometers. 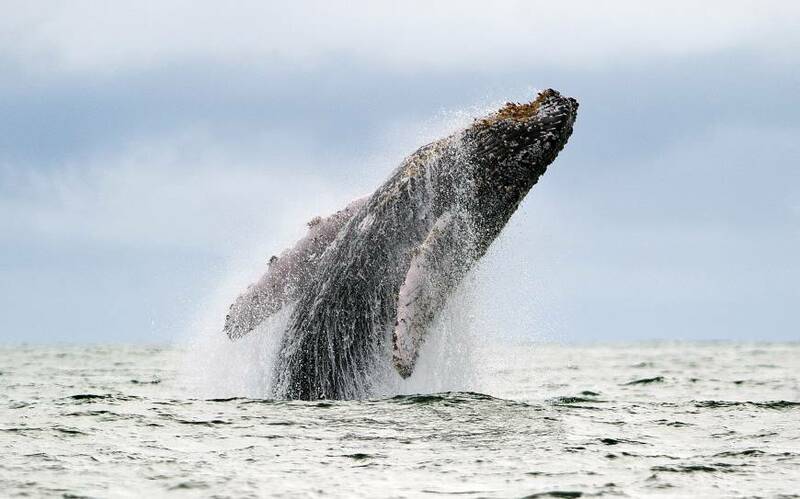 Unfortunately, Russian and Ukranian representatives questioned the authority of the CCAMLR to declare such a sanctuary, and, in turn, blocked its establishment, undermining what political good will may have existed in this context. 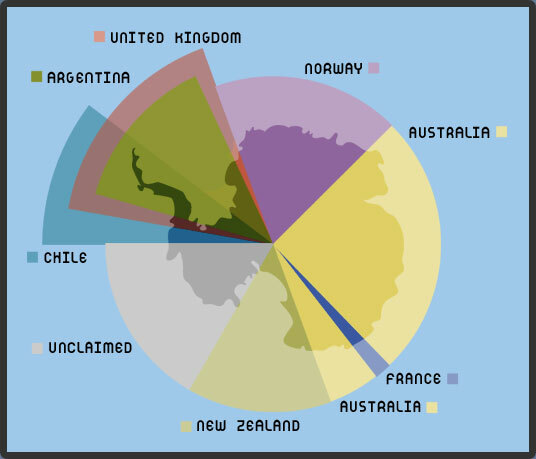 Disappointing, to be sure, but in a sense this objection is just a business-as-usual exercise of power given the structure of the Antarctic Treaty System, which—we can only assume is to avoid a sort of Aristotelian tyranny of the majority—demands that international decisions pertaining to Antarctica be made unanimously. 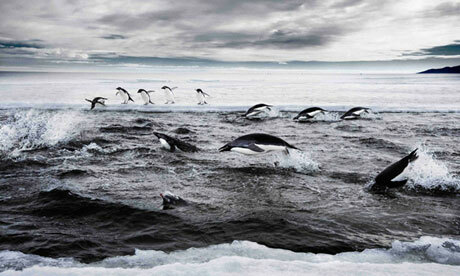 So we probably won’t see the creation of an Antarctic Marine Reserve any time soon. While the sanctuary may not have been proposed with specific regard to climate change, it would have been progress regarding Antarctic loss and damage nonetheless. But so much for that. Sadly, the failed marine reserve also means a failed way to halt whaling in the Southern Ocean. Historically, whaling near Antarctica has been atrocious. In the 20th century, the Soviet Union (among others) was responsible for the disappearance of more than 180,000 whales. 180 thousand. But as of ~27 years ago commercial whaling was declared illegal by the International Whaling Commission (IWC). Don’t be fooled, however, into thinking that the ban put a stop to all whaling. Yes—even in this day and age—there are still whalers out there. What’s even more surprising is that it’s technically legal. 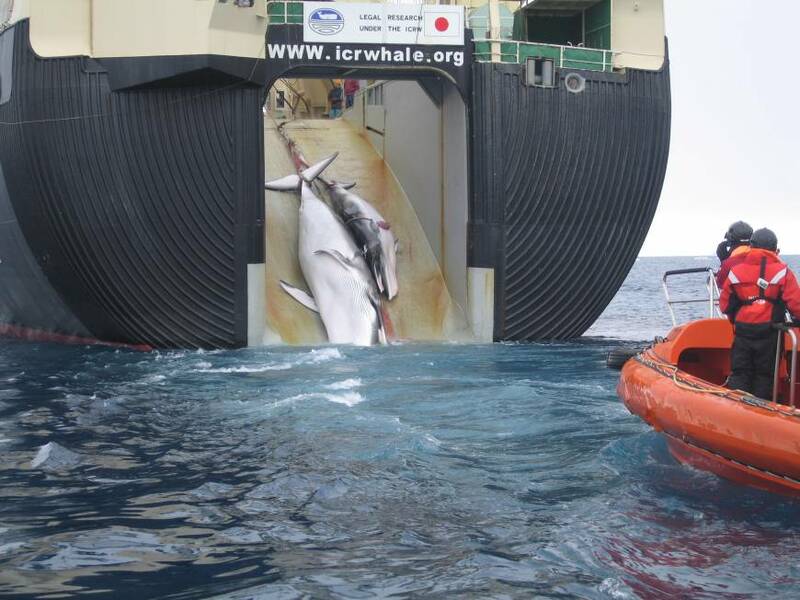 Japan was granted a moratorium from the prohibition in order to do scientific research that involves whaling. Whaling for science! Makes sense, right? Earth First! and Greenpeace eco-activists aren’t the only ones who find this repugnant. Toward protecting against Antarctic biodiversity loss, in 2010 Australia took Japan to court at the Hague—the International Court of Justice (ICJ) in the Netherlands—in order to challenge the validity of Japan’s “scientific research,” which, by Japan’s argument, requires killing whales. Japan has taken more than 10,000 whales from the Southern Ocean since 1988. The Hague should pass down its judgment within the next few months, so at that point we’ll see what justice holds for whaling. Perhaps on the pessimistic side of legal analysis, by Dr. Rowan Hooper’s reading, the Australian case may be emotionally compelling, but Japan may have a stronger legal argument to uphold their exception from the IWC’s prohibition. Suffice to say, between climate change, habitat loss, warming water, ocean acidification, and whaling—there are plenty reasons to be concerned about Antarctic loss and damage. The question, then, is what should and what will be done about it moving forward. Let’s get it together humans.